Today I’d like to shed the light on one of the most important Kings of Ancient Egypt, King Narmer or the Scorpion King from the First Dynasty. In the year 3100 BC a young, intelligent and ambitious prince from Upper Egypt from a city called Abydos north of Luxor decided to conquer the Lower Egypt and unite Egypt for the first time ever King Narmer who used always to have the Scorpion drawn on his shield and chariot, managed to conquer the Lower Egypt and unite the two lands and for the first time ever we had a King who wore the White and the Red crown combined as a symbol of Egypt unification. After uniting Egypt Narmer realized that his native city was not near enough to the centre of his new kingdom to serve as his capital, he therefore founded Memphis at the junction of the two lands to be his capital and Egypt’s first capital ever. In order to build Memphis Namer built a Dam on the Nile diverting the course of the Nile above the site of Memphis so he could gain the right space to build Memphis or “INB-HDJ” in hieroglyphic which means “The White Wall”. Historians described him as a great State man introducing to Egypt a highly developed system of centralised government and the writing down of the Laws. The famous Palette of Narmer demonstrating his unification of Egypt is on display at Cairo Museum. 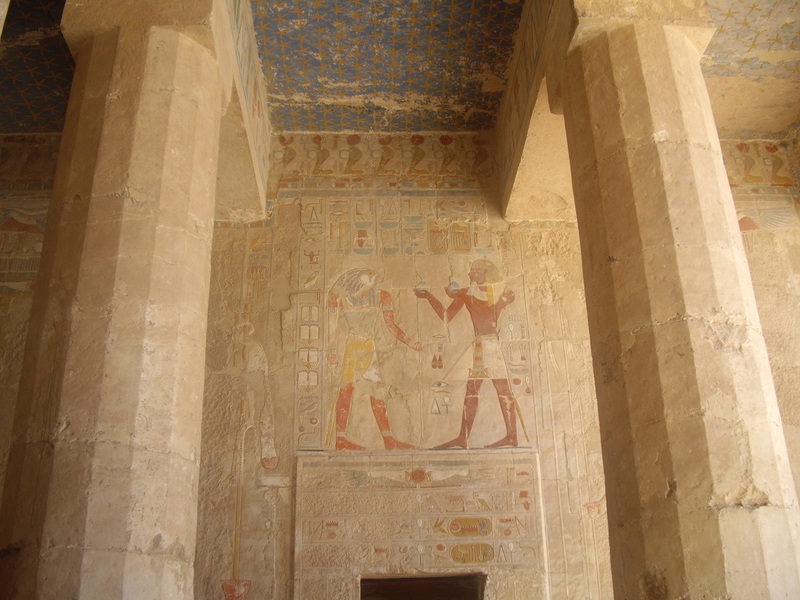 Narmer had two Tombs one in the South of Egypt in his native city Abydos which was discovered and to be honest it is insignificant in comparison with his Wife Queen “Neith-Hoteps” amazing tomb at the west bank of Luxor in city called NAQADEH. We can only conclude that the Scorpion King invested so much in his Northern Tomb which is still to be discovered and we can only imagine what it may still contain. King Narmer is definitely the founder of one of the greatest civilizations that this world had ever seen uniting the land of Egypt and establishing a structured order of governing the people. Explore Travel and Cruises would like to thank Mohamed Fahmy for his contribution and if you would like to make a comment please do and there will be more in this series to come.